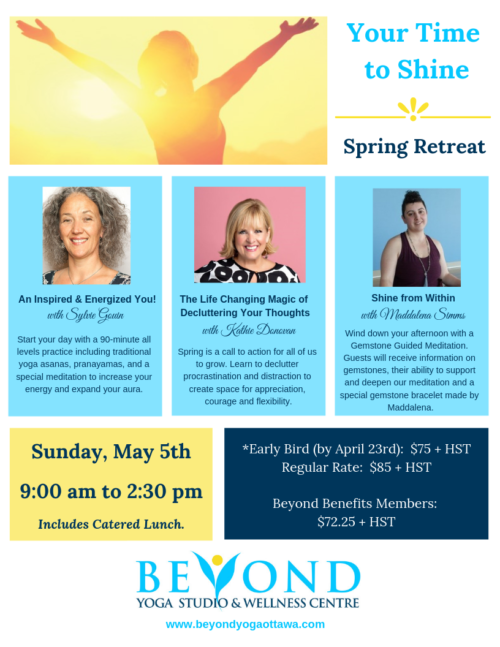 Sunday, May 5th – 9:00 a.m. to 2:30 p.m.
Register Early…Spaces Limited – Last Retreat Sold Out! 9:00 a.m. – 9: 30 a.m.
About Kathie Donovan: Kathie Donovan is a celebrated author, speaker, coach and broadcaster. She is the former co-host and co-producer of CTV Ottawa’s Regional Contact. “I’m on a mission to help our world evolve in the direction of more goodness, more kindness, more positivity and more courage,” says Kathie. She is the author of two self-published books: Inspiration in Action: A Woman’s Guide to Happiness and Unconform: Harnessing the Radical Power of Courage. Kathie is also host and producer of an annual one day event and Rogers television series called: Refresh your Passion. 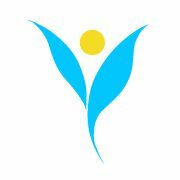 This year’s theme is Ignite your Genius; Beyond Yoga is delighted to be a sponsor. Kathie’s work is a call to action to unlearn what we think we know to be true, to stretch what’s possible, so that we can see our true potential and live a beautiful life of our own design. 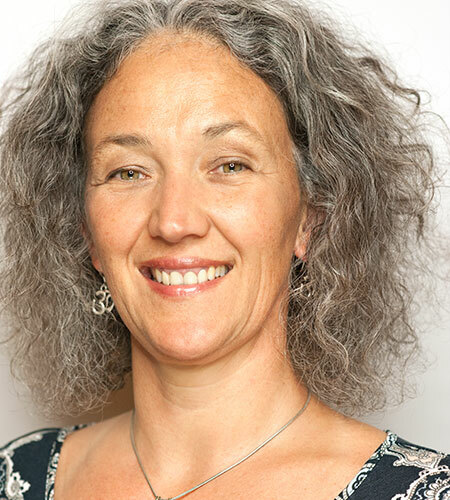 About Maddalena Simms: I came to the realization that a Holistic Lifestyle was the best way to prevent illness and disease, so for the last 12 years I have studied and have been trained in Yoga, Pilates, Ayurveda, Reiki, Energy Healing, and Holistic Nutrition, and Lifestyle Coaching. Working at Beyond Yoga is such a blessing, and I am excited to connect with everyone that walks through our doors. I am enthusiastic to share everything that I have learned so that others can experience the benefits and vitality of a healthy and happy life. My personal philosophy is that we are the biggest influencers of our own health, happiness, and quality of life, and balance starts by simply taking a deep breath in, and out. 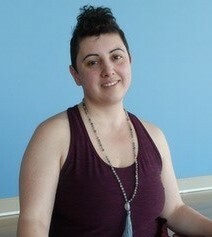 Maddalena also designs her own line of Gemstone Malas and Bracelets called Malas by Maddalena.